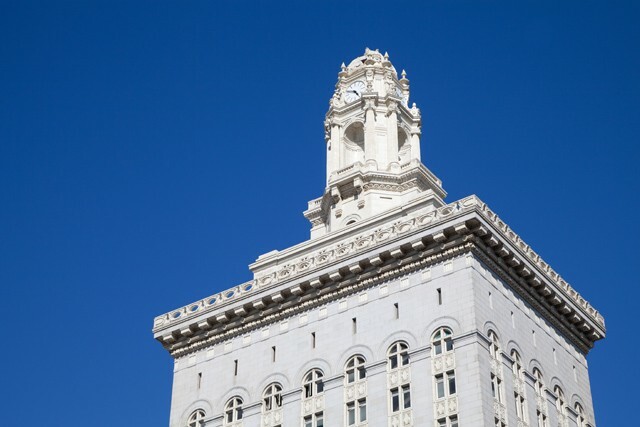 Oakland Public Ethics Commission investigators are accusing a former city building inspector of receiving several hundred thousand dollars in bribes and other illicit payments from landlords and hiding these illegal payments while he was employed by Oakland. Thomas Espinosa, a specialty combination inspector employed by the city from 2005 to 2016 is being charged with 47 violations of Oakland's Government Ethics Act. PEC staff are recommending he be ordered to pay $1,151,737 in penalties. Espinosa resigned after department officials tried to fire him in 2016 for colluding with a landlord to push tenants out of a West Oakland building. He was suspected of taking kickbacks from the property owner for his assistance. But according to PEC investigators, Espinosa's corrupt behavior was much more far-reaching than just a single building. He used his position as an inspector to shake down at least one property owner for money while he colluded with others in order to help them pass inspections, or dismiss code violation cases. He also illegally worked as a contractor on properties that he was also inspecting. He hid this illegal income from the city and never reported it on his conflict of interest disclosure forms. In one case, Espinosa assisted landlord Elizabeth Williams in closing out complaints about dangerous and uninhabitable conditions at several of the 15 West Oakland apartments and houses she owns, according to PEC investigators. In 2009, the city took legal action against Williams and made to enter into an injunction requiring that she maintain safe and sanitary rental housing. Espinosa was initially assigned as the official inspector for these properties to ensure Williams was complying with the injunction. But by 2015, Espinosa was being paid personally by Williams while looking the other way regarding complaints, and helping her dismiss new complaints, according to PEC staff. Williams also hired him as a contractor to perform work on the properties, despite the obvious conflict of interest. According to PEC inspectors, in 2014 other inspectors in the building department verified violations at one of Williams properties, located on 24th Street in West Oakland, and opened a code enforcement case against her. But Espinosa intervened, accepted payments of $112,000 from Williams, and then in October 2015 he closed out the code enforcement case against her. In another case, Espinosa coerced Alexandre Machado, the owner of a single family home on Valley View Road, by slapping a stop work order on Machado's property, which was being remodeled. Espinosa then personally asked Machado to pay him to lift the order. In total, Espinosa made Machado pay him $12,850 to legalize building permits. In yet another case, Espinosa had a real estate broker meet him outside of Oakland City Hall where the two discussed ways of addressing building code violations on a single family home that was listed for sale. According to PEC investigators, Espinosa asked the broker, Bill Charman, to write him a personal check for $1,500 to resolve the code violation case. Charman wrote the check, which Espinosa deposited in his personal bank account, PEC investigators wrote in their report. Espinosa then waived fees for Charman and changed the status of the code violation case to "abated" without inspecting the property. Espinosa is also being charged with misusing city vehicles, a computer, printer, and cell phone to conduct personal business. PEC investigators are requesting that Espinosa's case be referred to an administrative hearing comprised of three members of the Public Ethics Commission. Espinosa could not be immediately reached for comment. The PEC will consider the case at their Nov. 5 meeting.